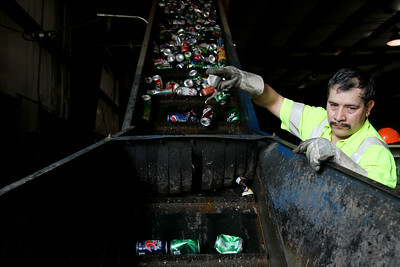 Jenny Kane - jkane@shawmedia.com St. Behr Iron & Metal employee Santigo Mercado, of Woodstock, sorts recycled cans before they are loaded into a machine to be crushed. 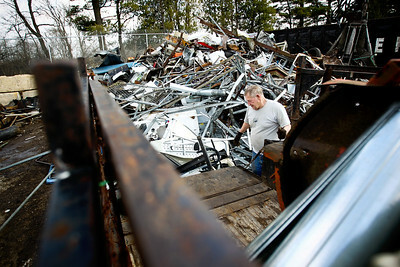 Jenny Kane - jkane@shawmedia.com Bob Koplin, of Marango, unloads his truck that had scrap medal into a pile at St. Behr Iron & Metal in Woodstock. Jenny Kane - jkane@shawmedia.com John Ritzert, of Hebron unloads scrap medal from his truck bed into a pile at St. Behr Iron & Metal in Woodstock. 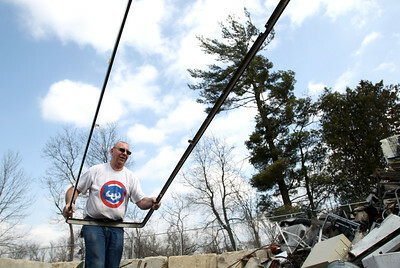 Bob Koplin, of Marango, unloads his truck that had scrap medal into a pile at St. Behr Iron & Metal in Woodstock.